Do you avoid smiling because of crooked teeth? Do you want to straighten your teeth, but don’t want mouth full of metal? Don’t put off having a beautiful smile any longer! 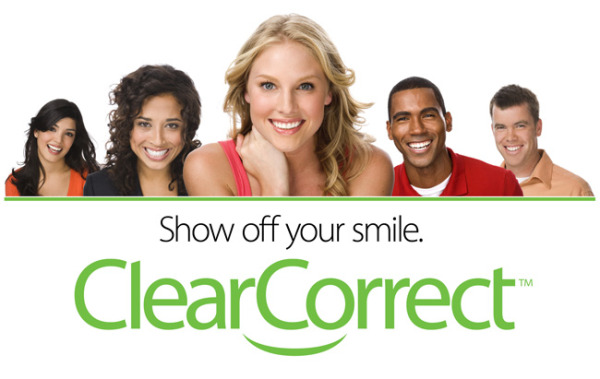 With Clear Correct invisible braces, you can straighten your teeth with confidence and convenience. Clear Correct clear braces use x-rays and impressions of your teeth to create aligners that are custom fit for your dental needs. You and Dr. Behrman will work together to come up with an adjustment plan of how you both would like your teeth to look at the end of treatment. Once this is decided, your set of custom aligners is created in a state of the art Clear Correct dental lab. The Clear Correct aligners should be worn all the time but can be taken out for eating and drinking, as well as brushing and flossing your teeth. The more you wear your aligners, the faster they can straighten teeth to achieve the results you want. As your teeth shift millimeter by millimeter, you will gradually change aligners. This process is your key to a straighter smile. Will Others Be Able To Tell I’m Wearing Braces? Clear Correct aligners are made from a superior quality plastic that is virtually invisible. The smooth surface also resists clouding from wear. Because Clear Correct clear braces are barely noticeable, you will be able to improve the look of your teeth, while still looking like yourself. Will Clear Braces Work For Me? It is important to understand all your options for a smile makeover. Clear Correct clear braces are an easy and effective way to straighten teeth. However, every patient has different goals and concerns regarding their dental health. Meet with our caring team at Macedon Family Dentistry to see if Clear Correct braces are the right choice for you. Call us today to schedule your free clear braces consultation! At Macedon Family Dentistry, we offer high quality dental care to get the smile you have always wanted. If you are interested in orthodontic treatment or invisible braces, talk to us to see if may be right for you. If you are looking for a Macedon dentist, Fairport dentist or Palmyra dentist, please give us call.